Scientists have been fascinated by a series of unusual exploding stars-outcasts beyond the typical cozy confines of their galaxies. A new analysis of 13 supernovae — including archived data from NASA's Hubble Space Telescope — is helping astronomers explain how some young stars exploded sooner than expected, hurling them to a lonely place far from their host galaxies. It's a complicated mystery of double-star systems, merging galaxies, and twin black holes that began in 2000 when the first such supernova was discovered, according to study leader Ryan Foley, University of Illinois at Urbana-Champaign. "This story has taken lots of twists and turns, and I was surprised every step of the way," he said. "We knew these stars had to be far from the source of their explosion as supernovae and wanted to find out how they arrived at their current homes." Foley thought that the doomed stars had somehow migrated to their final resting spots. To prove his idea, he studied data from the Lick Observatory in California and the W. M. Keck Observatory and the Subaru Telescope, both in Hawaii, to determine how fast the stars were traveling. To his surprise, he discovered that the doomed stars were zipping along at about the same speed as stars that have been tossed out of our Milky Way galaxy by its central supermassive black hole, at more than 5 million miles (7 million kilometers) an hour. The astronomer then turned his attention to the aging galaxies in the area of the speeding supernovae. Studying Hubble archival images, he confirmed that many are massive elliptical galaxies that were merging or had recently merged with other galaxies. The lanes are the shredded remnants of a cannibalized galaxy. Other observations provided circumstantial evidence for such encounters, showing that the cores of many of these galaxies had active supermassive black holes fueled by the collision. Many of the galaxies also reside in dense environments at the heart of galaxy clusters, a prime area for mergers. The telltale clue was strong dust lanes piercing through the centers of several of them. The location of the supernovae in relation to ancient galaxies indicates that the original stars must have been old, too, Foley reasoned. And if the stars were old, then they must have had companions with them that provided enough material to trigger a supernova blast. How does a double-star system escape the boundaries of a galaxy? Foley hypothesizes that a pair of supermassive black holes in the merging galaxies can provide the gravitational slingshot to rocket the binary stars into intergalactic space. 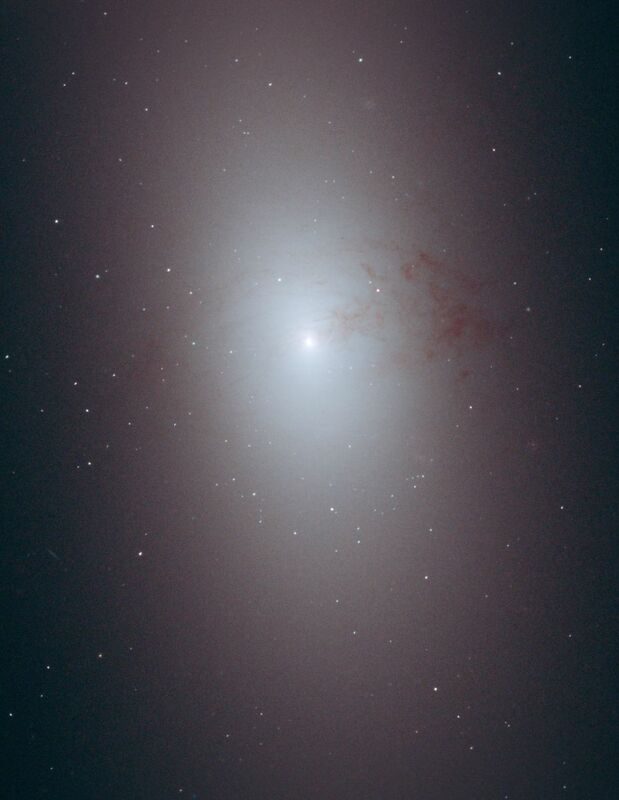 Hubble observations reveal that nearly every galaxy has a massive black hole at its center. According to Foley's scenario, after two galaxies merge, their black holes migrate to the center of the new galaxy, each with a trailing a cluster of stars. As the black holes dance around each other, slowly getting closer, one of the binary stars in the black holes' entourage may wander too close to the other black hole. Many of these stars will be flung far away, and those ejected stars in surviving binary systems will orbit even closer after the encounter, which speeds up the merger. "With a single black hole, occasionally a star will wander too close to it and have an extreme interaction," Foley said. "With two black holes, there are two reservoirs of stars being dragged close to another black hole. This dramatically increases the likelihood that a star is ejected." While the black hole at the center of the Milky Way may eject about one star a century, a binary supermassive black hole may kick out 100 stars a year. After getting booted out of the galaxy, the binary stars move closer together as their orbits continue to accelerate, which speeds up the binary stars' aging process. The binary stars are likely both white dwarfs, which are the burned out relics of stars. Eventually, the white dwarfs get close enough that one is ripped apart by tidal forces. As material from the dead star is quickly dumped onto the surviving star, an explosion occurs, causing the supernova. The time it takes for one of these ejected stars to explode is relatively short, about 50 million years. 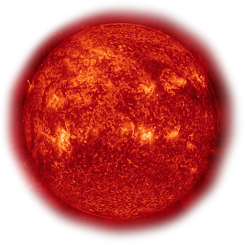 Normally, these kinds of binary stars take a long time to merge, probably much longer than the age of the universe, which is more than 13 billion years.